Visit Us on Facebook! – Petropolis Inc.
We are on Facebook! 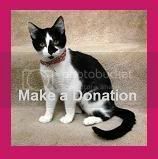 Most of our current doings and news, including upcoming adoption/fundraising events and new arrivals to our adoption program, can be seen there. Please join us and help get the word out about our rescue group. Click Here!